Deep economic crises violently interrupt daily lives and force more radical responses onto the public agenda. In the case of the North American auto industry however, that radicalism has been remarkably one-sided. Absent an alternative of their own, workers were (and remain) trapped by their dependency on ‘their’ corporations becoming stronger. 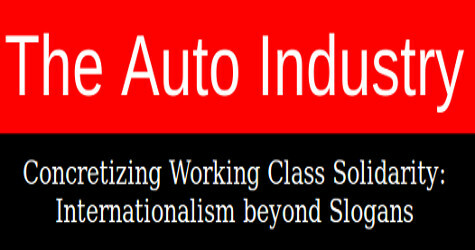 On the one hand, corporations and governments have aggressively attacked auto workers and effectively ended their status as the trend-setters for working class gains; on the other, there has been virtually no work interruptions or effective political response from the auto unions. In the now 100 years since Henry Ford first introduced the assembly line (1908), only the Great Depression matches the present crisis in terms of its impact on the U.S.-based auto companies, their suppliers, and the workers and communities involved. At that time, workers responded with the breakthrough of industrial unionism. 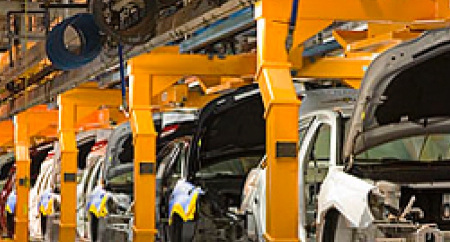 Can auto workers respond as creatively today? At his first press conference after replacing the former head of General Motors, GM’s new Chief Executive Officer seemed to offer some relief to Canadian auto workers. 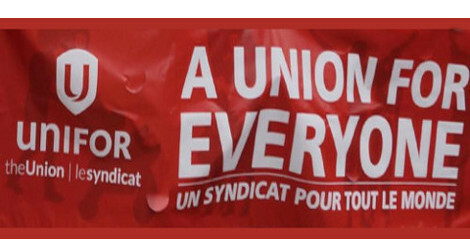 The new collective agreement in Canada, Fritz Henderson declared, made the Canadian workforce “fully competitive with the UAW” (Globe and Mail, March 31, 2009). The catch of course was that this was not the end of the story. Soon Henderson was warning that, “We need to go further, you can’t really afford to take anything off the table” (CNN‘s “State of the Union”). Part of shunting Richard Wagoner, the former head of GM aside was to put more pressure on the UAW to reopen their agreement and make even more concessions. And as that occurs, GM will surely return with more demands on the CAW. It used to be that corporations promised jobs for concessions; now they aggressively demand more concessions alongside fewer jobs. That earlier trade-off was of course always a myth. Concessions don’t save jobs because in a capitalist economy, corporations driven by profits and limited by competition or consumer demand won’t or can’t deliver on job guarantees. At the end of the 1970s, when the first round of concession bargaining began in the U.S., the UAW had 450,000 members at GM. Today, after repeated contracts that allegedly ‘won’ job security in exchange for workplace, wage, or benefit concessions – sold by the union as well as the companies – the UAW’s GM membership is down to 64,000. If GM is ‘successful’ in its current restructuring, that will be further reduced to 40,000. Thirty years of concessions and a 90% loss in jobs. 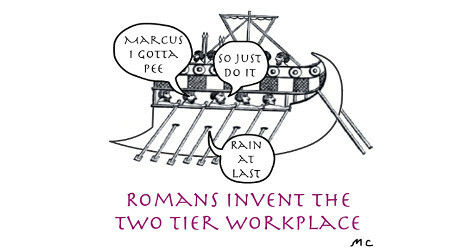 If ever there was a failing strategy for workers, this was it. Concessions don’t save jobs, but they inherently invite more concessions. What corporation wouldn’t take advantage of this freebie? What corporation, even if it planned to make a new investment, wouldn’t now hold back and ask for new concessions? That push for concessions, alongside the spread layoffs as corporations manoeuvre to restore their individual profits, undermines the official government policy of throwing money into the economy to ‘stimulate’ demand and create jobs. In fact, the government has itself aggravated this contradiction by insisting on worker concessions as a condition for providing loans to the auto companies. The illogic of all this is, however, not exposed if no substantive alternative is raised. Union leaders can publically deny worker responsibility for the crisis, but as long as workers passively accept concessions, what gets confirmed is that the problem must be workers. The public debate consequently revolves around how much compensation should be given back. The greatest danger for workers is that the acceptance of concessions represents not just a temporary setback, but also a more permanent defeat. To the extent that concessions lower expectations, undercut arguments for why others should join a union, and risk the erosion of worker confidence in collective action, workers and their unions move into the future disoriented and weakened. For all these reasons, and because the very focus on workers as the problem diverts attention from solutions that might save jobs, concessions are a road to nowhere. Instead of waiting to see what else the corporations put on the table, workers need to put their own alternatives on the table. What follows is one such alternative. Though the overwhelming attention has been on GM and Chrysler, hundreds of tool and die shops and component plants have been padlocked and hundreds more are teetering on the brink (“Bankruptcy Looms Larger Across Sector,” Globe and Mail, April 6, 2009; “About 500 auto suppliers at risk for failure,” Reuters, March 12, 2009). The ‘market’ or the owners of these plants have deemed them to be no longer profitable. But from a social perspective, these facilities represent the very kind of productive potential that any country worried about its productive base desperately needs to hang on to. These plants must not be allowed to close or to see their tools and equipment gutted or shipped elsewhere – especially in the middle of a deep economic crisis. Any plant that is closed or on a path to being phased out should be expropriated in the social interest and placed in the hands of a new public corporation. (One worker suggested we call it Canada at Work, but the acronym – CAW – has already been taken). In itself, it’s not clear what would ultimately be produced given the current lack of demand and excess capacity in the auto industry. So this could only work if there was a government commitment – a plan – for a new set of needs. An obvious project is to focus not on the work already gone but to the future: link these plants to the broader conversions which environmental sustainability will require through the rest of this 21st century. If we are serious about incorporating environmental needs into the economy, this means changing everything about how we produce and consume and how we travel and live. The potential work to be done in this regard – in the tool and die shops that are closing, the component plants that have the capacity to make more than a specific component, and by a workforce anxious to do useful work – is limitless. The equipment and skills can be used to not only build different cars, and different car components, but to expand public transit and develop new transportation systems. They can participate in altering, in line with environmental demands, the machinery in every workplace and the motors that run the machinery. They can be applied to new systems of production that recycle used materials and final products (such as cars). Homes will have to be retrofitted and appliances modified. The use of solar panels and wind turbines will spread, new electricity grids will have to be developed, and urban infrastructure will have to be reinvented to accommodate the changes in transportation and energy use. What better time to launch such a project than now, in the face of having to overcome both the immediate economic crisis and the looming environmental crisis? And what greater opportunity to insist that we cannot lose valuable facilities and equipment, nor squander the creativity, knowledge and abilities of engineers, skilled trades and production workers? What About GM, Chrysler and Even Ford? This proposal would only work if it had the support of the workers affected – and that support would have to be especially strong and mobilized given how much resistance the formation of such a public corporation, with such a significant mandate, would imply. Building that support seems feasible enough where workers have lost or are about to lose their jobs. At some point, this may also be possible within the Detroit Three, given the failures workers have experienced within these companies (the costs of excess competition, the waste of duplicated models, the slowness to respond to environmental realities, the ultimate disregard for the workforce in these industries). But as of now, the insecurities – not just regarding jobs, but also over pensions and health care plans – make it difficult to quickly win over workers who are still working at going concerns like GM, Chrysler and Ford. Yet this proposal also carries great importance to workers who remain outside its structure. The dynamic development of environmental productive capacities could contribute to (and accelerate) the auto companies’ necessary transition to different types of vehicles. And such a structure provides back-up security for these workers as well. As further plants close at the former ‘Big Three’ – and they will – workers wouldn’t be left simply lamenting the loss of their livelihood; they could mobilize for their plants to be incorporated into the new structure. Furthermore, as companies like Chrysler try to blackmail Canadian workers and governments by threatening to leave the country if they don’t get proportionately more than even GM got, the pressures would be somewhat eased if an alternative existed. And if the companies go into bankruptcy – whether in the near-term or later – the alternative of bringing the companies as a whole into the public domain might develop broader support. It is certainly realistic technically. In 1942, auto production was fully stopped because of the wartime priorities. In spite of scepticism about converting auto plants, the new priorities demanded a shift in production and that shift was remarkably successful. By 1944, GM was the largest producer of naval aircraft in the world and rather than layoffs accompanying the end of auto production, there was a shortage of labour. After the war, the conversion back to auto production was, if not as dramatic, likewise rapid and effective (“From Autos to Aircraft: General Motors’ WWII Conversion,” Naval Aviation News, July-August 1995). This is an historic moment that challenges us to think big or suffer even worse defeats. Faced with immediate needs, workers and their union have too often shied away from taking on larger issues of social change that seemed too abstract, too distant, too intimidating. The lesson however is that if we only focus on the immediate, the options we have are always limited. We are all now paying the price of that failure to think bigger. This is a moment when the elite – from the financiers through the Detroit auto executives and all those pushing the virtues of letting greed run free – have lost credibility. Yet it is the labour movement that is on the defensive and getting hammered. In this context, what is truly unrealistic is not new options, but the notion that stumbling through the present crisis will preserve past gains or bring new security. Being realistic means resolving the crisis not so much in terms of saving the corporations, but as saving productive capacities and the economic base of our communities. And rather than speaking only (or at least primarily) for the members still working, it means also addressing the job needs of all those already, or about to be, laid off. Being realistic means taking on a new and necessary fight – daring to put something new on the table. Rather than perpetuating our dependence on markets, competition, private corporations and the values and pressures they represent, this proposal builds on the first principle of unionism – organizing around our own, independent vision of how ‘progress’ is defined. It means reviving the best of working class leadership: unions seen as not only negotiating for their members but raising the largest issues on behalf of their members and society as a whole. Being realistic means taking hope out of speeches and putting it in the hands of workers. Workers have courageously taken over their plants, but the jobs have still gone leaving workers with only a “significant portion of the severance, termination and vacation pay owed them” (CAW publication Contact, March 27, 2009); they should be encouraged and inspired to demand that the facilities are kept in operation and they be allowed to do productive work. And alongside this, it means that the need for work should not have to be traded off for accepting inferior working conditions – in fact, demanding social control over production might be a first step in going beyond defensive demands and thinking about what a truly democratic workplace might look like. Dan La Botz, “What’s to Be Done about the Auto Industry?,” MRonline , Oct 24, 2008. 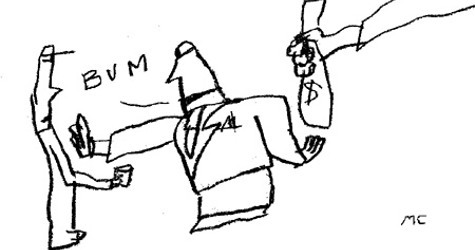 Leo Panitch, “Too Big to Fail? Nationalize,” Real News. Mark Brenner, Mischa Gaus, Jane Slaughter, “Restructure the Big 3, but Not with Bankruptcy,” Labornotes, March 25, 2009. Herman Rosenfeld, “Crisis in the North American Auto Industry,” Monthly Review , June 2009.